Genius, brilliant, generous, wholehearted, warm, kind, funny, original, musician, art lover, brave, restless, these are few of the most suitable and recurrent attributes of Denis Borges Barbosa, who passed away on Saturday, April 2nd. Leading IP professor, researcher and attorney in Brazil, he was also the key international face of Brazilian IP. He was one of the TRIPS negotiators for Brazil and has been consultant for various national and international agencies, including the ministries of health, of culture, of development, of innovation and technology as well as the foreign ministry and the Presidency itself. 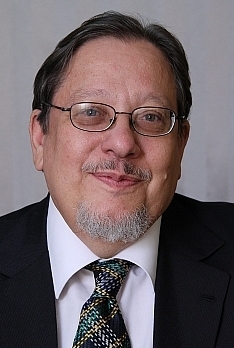 Highly respected by the Academy, Courts and State Officials alike, his widespread legal knowledge made of him the singular most important and influential thinker on IP in Brazil. Because of its uttermost quality and importance, his works are regularly referred to by the highest Courts in Brazil and his research is mandatory to whoever studies and works on IP. His works are required reading on any IP course in Brazil and will remain so for the foreseeable future. As a professor, he taught at the most important Universities in the country, leading his students through the challenges of IP and always making himself available for debating and advising. His generosity was remarkable, and it included not only his personal time and also lending books from his personal libraries. Recently, he was primarily teaching specialization courses at the Catholic University of Rio de Janeiro; master’s at the National Institute for Intellectual Property (INPI – the Brazilian Patent Office); and master and PhD courses at the graduation Program on Public Policy (PPED) hosted by the Federal University of Rio de Janeiro (UFRJ) and Fiocruz. In his works and classes he promoted a critical understanding and endorsed a balanced view of IP norms and regulations. Always ready to help, he also encouraged his students to go beyond and challenge the prevailing views, even when they were his own. His intellectual altruism and the brilliance of his thinking have earned him a special place in pantheon of the world great IP minds and leaders. Brazil has just said goodbye to one of its best. We will all miss him. “Denis Barbosa was a warm and generous person, and he will be sorely missed. "Tribute To Brazilian Legal Scholar Denis Barbosa" by Intellectual Property Watch is licensed under a Creative Commons Attribution-NonCommercial-ShareAlike 4.0 International License.